The most common question and concern I get is... does it HURT?! I will be honest, sometimes if does hurt. I am putting needles in, just under the skin and there are certain parts of the body that might be more tender or might have more inflammation, tightness or tenderness. Any area that might be sensitive to touch, may also be sensitive to a needle. Acupuncture may be the answer to healing your pain though, so hopefully the below information will help you give acupuncture another try! During a treatment some sensations you may experience include burning, tingling, pressure, poking, an achy sensation, or you might be aware of a sensation running down your arm or leg. These sensations are normal, and they do not mean something bad is happening, or that something is wrong. Most needles you won't feel a sensation or the needle at all. If you do feel any of these sensations just remember that they go away quickly after the needle has been placed. If you do continue to feel a sensation that doesn't go away, tell me! 1. Communicate and express yourself to your practitioner/acupuncturist. "Hey that needle is burning or I'm feeling tingling or pressure, or it's achy there," is very helpful information for me to hear. 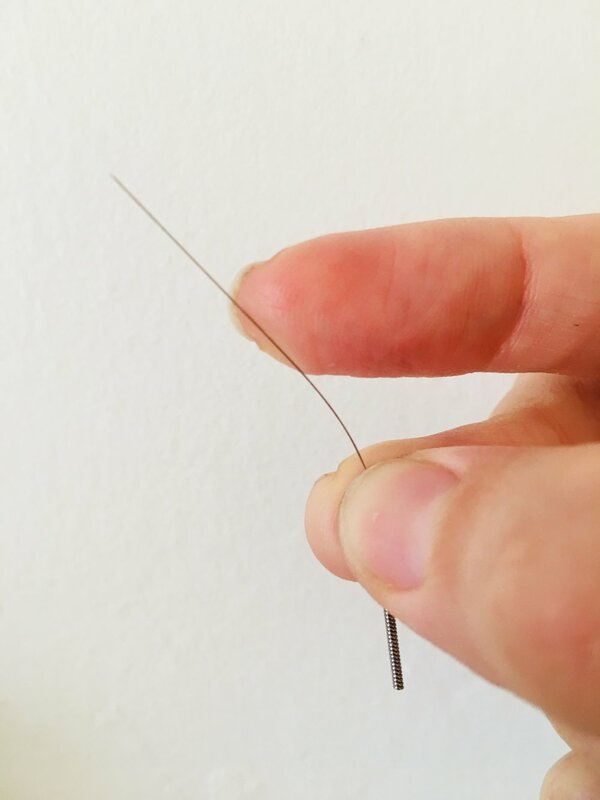 This allows your acupuncturist to make adjustments when needed to the treatment like body positioning or adjusting the placement of a particular needle. Also, tell me before I leave the room so that you can relax during your treatment! 2. Try a new acupuncturist if the first one you tried didn't work out. Acupuncturists have different techniques, just as patients have different preferences for techniques. 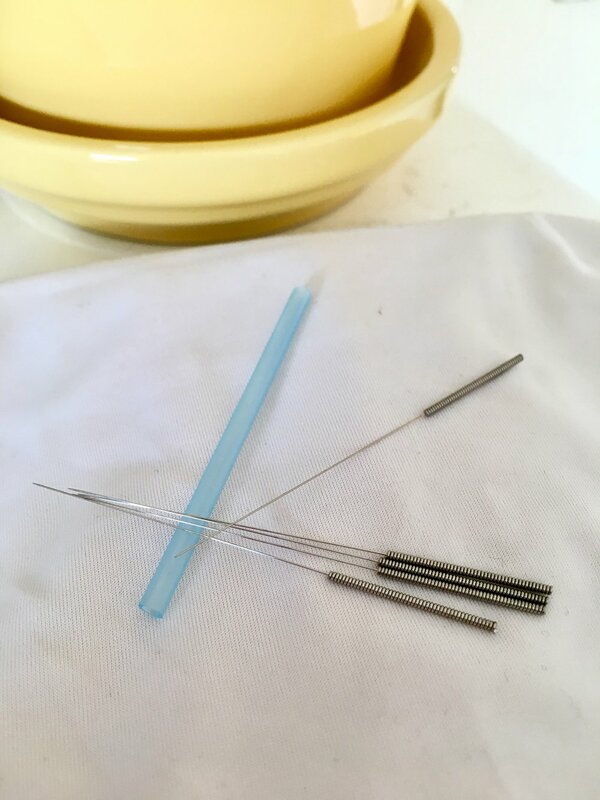 My patients like the way I practice, using smaller needles which is a more subtle style of Acupuncture than some others use. 3. If fear of needles is stopping you, tell your acupuncturist that you are afraid. Remember, this is very common and I can help you. It's part of your acupuncturist's job to help you move past this fear. I go slow with these patients and teach them deep breathing techniques to increase relaxation before I place the needle. Some patients only get treated face down so they never have to see a needle. I hope this information is helpful! Please send me an email at katyframelac@gmail.com if you have more questions or would like to give acupuncture a try!